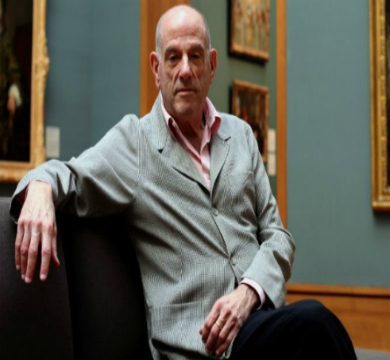 Alain Elkann interviews Sir Norman Rosenthal curator and art historian. 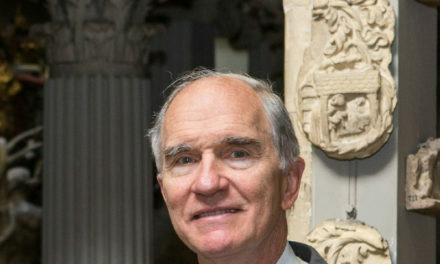 Sir Norman Rosenthal is an independent curator and art historian. How long have you been living in London’s Soho for? First I lived in St. James’s, and then I moved here in 1989 when I got married. Did you know Francis Bacon and Lucian Freud? They came to the Colony Club in Dean Street. I was marginally part of their crowd. Lucian I knew well, Bacon less well. I don’t want to be over intimate with artists. I like to serve them if we work together. 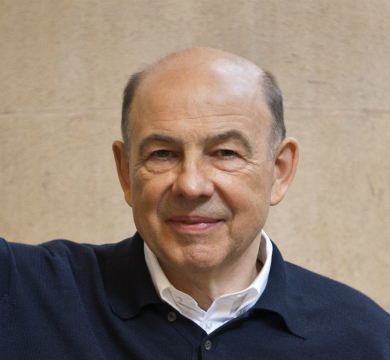 The closest artists for me were Georg Baselitz, Joseph Beuys and Anselm Kiefer. You seem to be particularly interested in German artists? 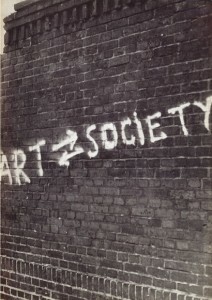 In 1974 I was one of the people instrumental in organising an exhibition at the Institute of Contemporary Arts, “Art into Society – Society into Art: Seven German Artists.” From 19th January to March 16th 2016 there is an archive exhibition about that exhibition – that is quite unusual. What do you remember about working with Beuys? 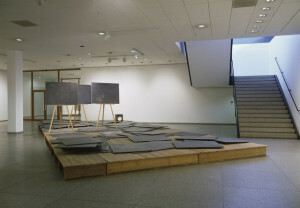 Beuys once asked me, “I need three blackboards with an easel.” I went to search for blackboards in a warehouse and I took one hundred and he used all of them in a floor environment called “Directive Forces.” Now it belongs to the National Gallery in Berlin. Do you consider yourself English? I was born in England in 1944 and my parents spoke German together. They were refugees here in the UK. My mother arrived in 1939 and my father came from Slovakia in 1941. He arrived in Cambridge with the Free Czech Army and they moved to North West London after I was born. My father managed a Czech immigrants’ club in Little Venice. I had a very good education, a free education, and I had amazing teachers. When was your first encounter with the world of creative arts? My mother took me to the opera “The Marriage of Figaro” at Covent Garden when I was nine years old. I would say I love music, including opera, and I was on the Opera Board at Covent Garden. Now I am on the Board of the English National Ballet. Why didn’t you work in the world of music? I will in my next life, but somehow I fell into the world of art. My first job was at Agnew & Sons. 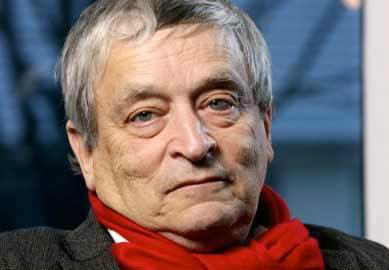 I walked in and asked, “Is there a job here by any chance?” I was hired there and then by Evelyn Joll, who was the great expert on Turner and who happened to be there. I started for £10 a week, editing photographs and being a researcher and librarian. I felt like Alice in Wonderland. I am a great believer in “looking, not finding.” This is a great distinction. What was your formal education? I read History at the University of Leicester. My PhD, which I certainly never finished, was about “German peasant emancipation in Eastern Prussia in the 18th Century”, but instead I fell into art. I began with Old Masters – I did not know about Contemporary Art. Then I hung around with different artists, like David Hockney and Derek Jarman, who was a painter, a poet and a filmmaker. He was a friend of mine. 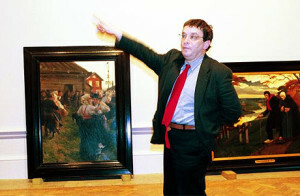 Then I miraculously landed a job as Head of Exhibitions at the Royal Academy, where I stayed for 31 years. Everybody thought it would go bankrupt, nobody applied for the job, just me and one other. You did amazing shows there. The most important show in my eyes was “The New Spirit in Painting” in 1981, which I curated with a controversial Greek curator, Christos M. Joachimides, and Nicholas Serota. “The New Spirit in Painting” revolutionised the position of the Royal Academy. We showed all the great German artists, Baselitz, Richter, Polke, Kiefer and we also showed Schnabel, Chia, Paladino, Clemente, and we included the late work of Picasso. It was the first exhibition that drew attention to the late work of Picasso. If you do an exhibition like that once in a lifetime you are very fortunate, because it changed the world’s agenda. Installation of “A New Spirit in Painting” at the Royal Academy, 1981. You could say that the expansion of the art world began in that moment. 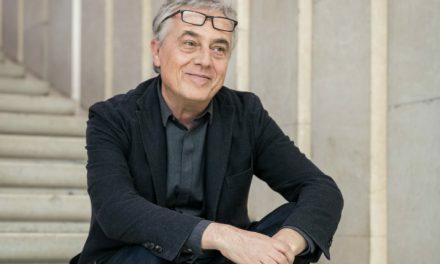 It opened up the art world from a tiny little small subculture of a few hundred people and suddenly gave space to people like Charles Saatchi and Anthony d’Offay. Did you ever imagine that Contemporary Art would be so popular, and would reach so many people, and would cost so much money? I don’t think I imagined anything. I just took notes. When people ask me, “What’s coming next?” I say, “I have no idea. The difficult thing is to recognise the present.” It is true today, with hundreds of thousands of people trying to make space in the world of artists. Beuys said, “Every man can be or is an artist.” But this is more and more difficult, when there are thousands of galleries and the internet. Do you like the art of today? I don’t like or dislike it. I take it for what it is, and what I see. The world changes every day. 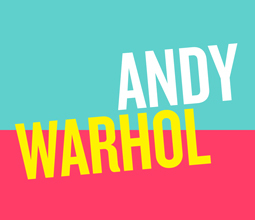 You are curating an exhibition of Andy Warhol at the Ashmolean Museum in Oxford in January? It is the private collection of Andy and Christine Hall, coming from America. They have a big collection of three or four thousand works of art. They have two hundred works of Andy Warhol and I consider it a good collection. Ashmolean Museum of Art and Archaeology University of Oxford. 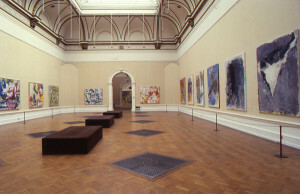 Works from the Hall Collection. 4 February -15 May 2016. Is Warhol one of your favourite artists? I knew him, he was not a close friend, but I went to The Factory. He wanted to do a portrait of me, but only if I would take my clothes off. Stupidly I refused. 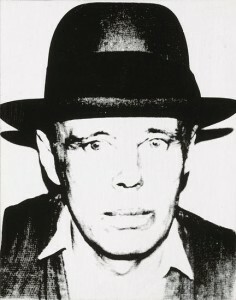 He was laconic and a counterpoint to Beuys, the two artists of their generation. They were more than artists, they symbolised their “époque”, one from the perspective of Europe and the other from the perspective of the USA. They are the most interesting artists of their generation? Who knows, but they are more than themselves. They are symbols. They are a kind of political figures. What other shows are you going to curate? 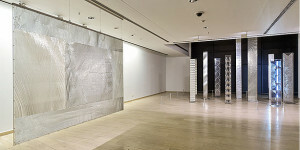 “Light Steles” (R), an installation by Heinz Mack, is displayed at the exhibition “Zero” at the Sakıp Sabancı Museum in İstanbul. I like looking at trees. I am a friend of musicians and composers, people that I admire more than any other species of the human kind, more even than artists. I am proud that performing musicians and composers have time for me. I think I have quite good ears. I carry lots of music with me and can’t live without it. Is London an ideal place for you? London is endless, and fantastic for music, avant garde, iconic. Enjoy this interview? Share it with your friends. Portrait of Sir Norman Rosenthal by Nikolai Saoulski.